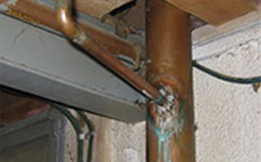 Problems with plumbing can be very difficult to detect. That is, houses can keep plumbing problems a secret until it's too late - not to mention messy. 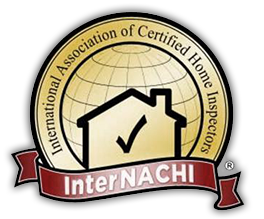 A quality home inspection will take plumbing into account. 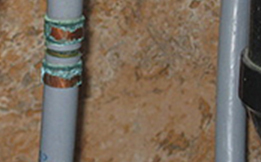 Corrosion of copper union in PVC pipe. Have checked by plumber. Cracked and leaking cast iron sewage pipe. Replace with ABS piping ,or check with plumber. 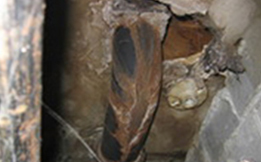 Nonstandard sewage pipe junction and leakage. Apply proper connections , check with plumber.